Automakers today called for tariff-free trade to be maintained between Britain and the EU after the UK voted for a Brexit, amid warnings that sales and production will be hit in Europe's second-biggest auto market after Germany. BMW, whose Mini and Rolls-Royce units build cars in the UK, warned of a "period of uncertainty" but said there will be no immediate change to its UK operations. Many conditions for supplying the European market will now have to be re-negotiated, BMW said in a statement. "We cannot say what this means for our UK operations until those future regulatory and legislative arrangements are agreed," the German premium automaker said. General Motors' European arm Opel said it was important to its UK-based Vauxhall division for Britain to remain part of the European Economic Area to allow the free movement of goods and people within Europe. The European Economic Area is open to EU member states and non-EU countries from the European Free Trade Association, which includes Switzerland, Norway and Iceland. Ford Motor said it had not changed its investment plans yet, but would "take whatever action is needed to ensure that our European business remains competitive." Ford has three plants in the UK making engines and transmissions. UK luxury sports-car brand Aston Martin urged the British government to secure tariff-free access to EU markets. CEO Andy Palmer said the company will now orientate its business in the context of the "market volatility that may exist during the period of transition." A weaker pound should partially offset the increased instability, he said. Shares of India's Tata Motors' plunged 12 percent today, their biggest fall since 2012. Tata owns Jaguar Land Rover, the UK's largest carmaker by production, which relies on Europe for about 20 percent of its global sales. Jaguar Land Rover today said it will remain committed to all its manufacturing sites and investment decisions. "Europe is a key strategic market for our business. We remain absolutely committed to our customers in the EU," a JLR spokeswoman said in a statement. The UK auto industry has undergone a big revival in recent years but is mostly owned by foreign companies. Japan's Nissan, Toyota and Honda all have car factories in England, set up largely to export to the EU. Executives say they could slow investments in Britain or pause them after the Brexit result. "We don't have any choice but to be more cautious with our investment decisions, including moves like whether to produce a new or significantly redesigned vehicle model in the UK," said one Asian automaker executive with manufacturing capacity in Britain, speaking on condition of anonymity. The big question for automakers is "what kind of trade deals with the EU would be negotiated. That is the big unknown," a second executive at a global automaker said. 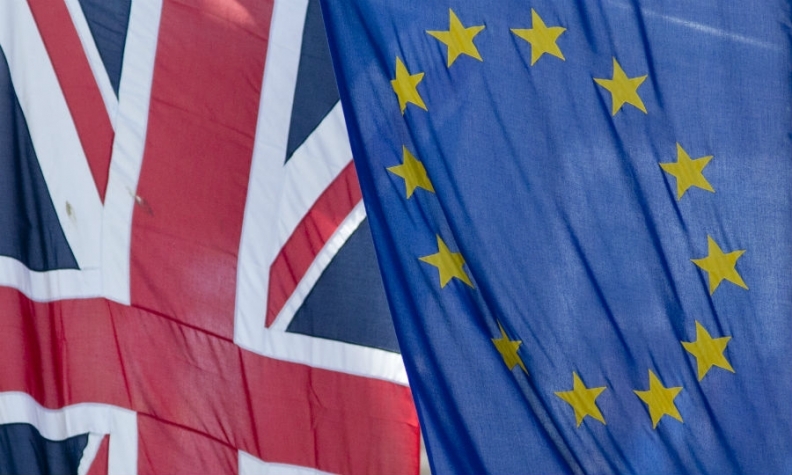 Exports from Britain to the EU currently are free of tariffs and duties. Toyota on Monday warned its employees that the UK's withdrawal from the EU may lead to levies of as much as 10 percent on the cars it builds in Britain. Toyota produced about 190,000 cars in the UK last year. Of that, 75 percent went to the EU. Only 10 percent was shipped and sold within Britain. Nissan, the UK's second-biggest car producer, declined to comment. Nissan has been in Britain for three decades and builds 475,000 cars a year in the country, most of them for export inside the EU. Sunderland in northern England, where Nissan has its operations, was among the constituencies that surprised pundits by voting for Brexit. Honda said it will carefully monitor developments and will continue to prepare for the production launch of the new Civic at its UK plant. Honda produces around 140,000 vehicles per year, including the CR-V crossover SUV and Civic sedan at its plant in Swindon, near London. Half of its production is exported to the EU. The UK is the biggest single export market for German automakers, said Matthias Wissmann, head of the VDA, the country's auto industry association. Europe's politicians must now work to keep tariff-free trade between the EU and the UK, he said. Half of the UK's 2.6 million annual new-car sales are built by German-owned companies and Germany exports about 810,000 passenger cars a year to Britain, Wissmann said. About 57 percent of the 1.6 million cars built in Britain in 2015 were exported to EU countries and the German auto industry has 100 production sites in Britain including suppliers, 30 percent more than in 2010, according to the VDA. Volkswagen Group said it is too early to assess the impact of the vote on its Bentley UK-based ultraluxury brand or on sales in its second-biggest European sales market after Germany. Daimler CEO Dieter Zetsche said he did not expect any impact on the maker of Mercedes-Benz cars. "This is not a good day for Europe and in my view, certainly not for the UK," he said in an emailed statement. "Geographically, the country may be an island; politically and economically, it is not. It is now even more essential that Europe does not continue to drift further apart." South Korea's auto association said it was worried a departure could revive a 10-percent tariff on exports of passenger vehicles to the UK unless a deal similar to the EU-Korea trade pact is negotiated. "This could inevitably undermine the price competitiveness of South Korean automakers in the UK, as opposed to Japanese and German rivals which have production bases there," said Kim Tae-nyen, vice president at the Korea Automobile Manufacturers Association. Hyundai said in a statement that it will monitor closely the impact of the Brexit referendum result on the global economy as well as in the financial markets and "respond accordingly." Equity analysts Evercore ISI today repeated its warning that Brexit will hit UK and Europewide car sales, as well as production. Evercore expects UK car sales to fall 4.5 percent this year amid economic uncertainty, instead of its pre-Brexit forecast of 3 percent growth, and plunge by 10 percent next year, leading to a 2.5 percent fall in European production in 2017. Brexit could cut automaker earnings by more than 8 billion euros ($8.9 billion), said Evercore automotive research head Arndt Ellinghorst. The UK is one of the EU's strongest and most profitable markets for new cars, Ellinghorst said in a note to investors.